Website Opening Date: October 3, 2018 @ 9:00 am (EST) – March 1, 2019 @ 11:59 pm (EST). The Class of 2019 Commencement Ceremony Saturday, May 11 | 11:00 a.m.
Each component of the outfut must be ordered individually under the degree or program tab. To add hood and tam to your order, click "add another" under degree or program tab. You will receive 2 emails once your regalia registration is complete. 1. The first email will be from Build a Grad. This email order confirmation contains all the necessary details regarding your regalia order. Your Order Number will be on this order confirmation. 2. The second will be from UCG - Sales Department. This is your payment receipt and contains payment information. Please print these forms or bring them on your mobile device when picking up your regalia. 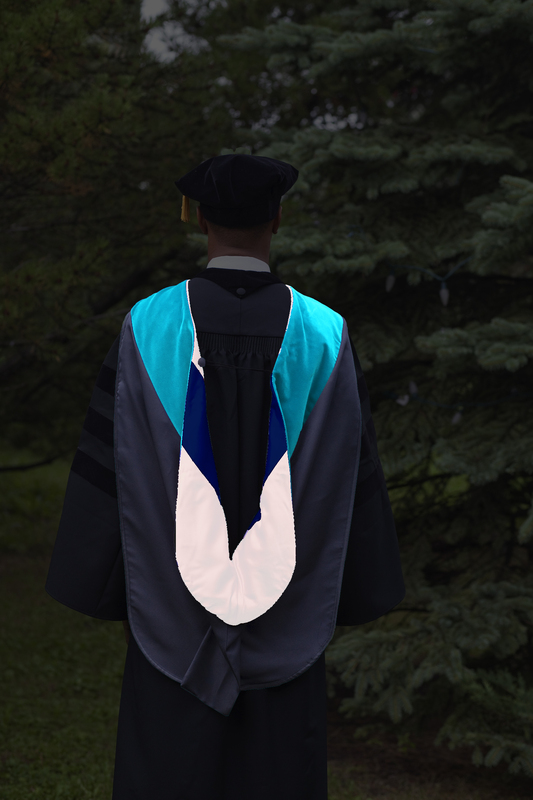 Standard Gown is our fine quality doctoral gown at a value price. Open sleeves, a deluxe button and braided cord on the back with zipper front closure give this hand-crafted and custom-tailored outfit a distinctive appearance. Rich velvet doctoral bars on each sleeve with velvet panels down the front of the gown add to the superior look of this gown. The velvet panels are outlined in red piping. New England College crests are embroidered directly onto the velvet panels. 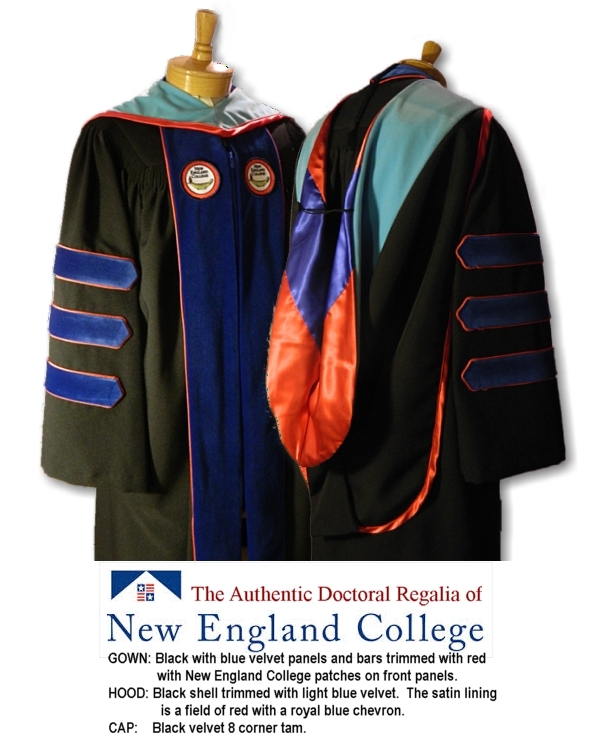 Deluxe Gown is our premium doctoral gown. Traditional style pleats, fully-lined double-bell sleeves, a deluxe button and braided cord on the back with zipper front closure give this hand-crafted and custom-tailored outfit a distinctive appearance. Rich royal velvet doctoral bars on each sleeve with royal velvet panels down the front of the gown add to the superior look of this gown. Velvet is outlined in red piping. 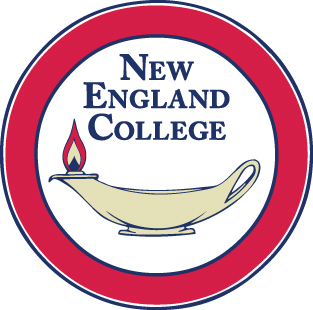 New England College crests are embroidered directly onto the velvet panels. 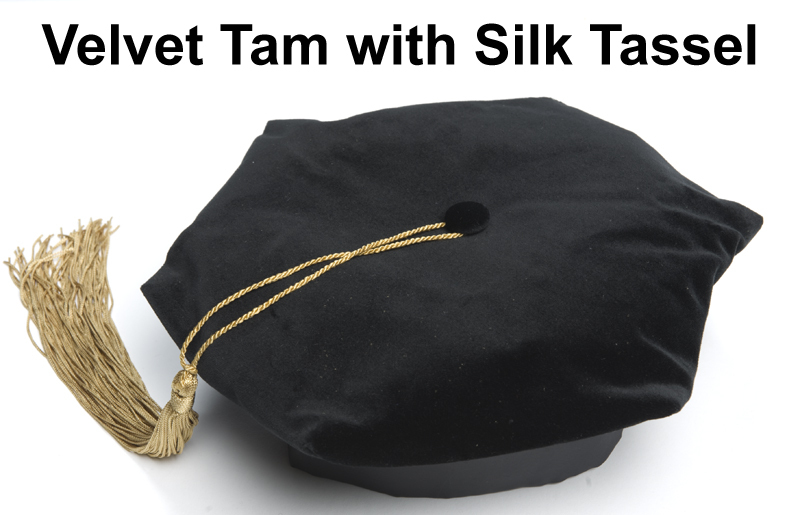 Standard Tam is made with a black velveteen with removable gold tassel. 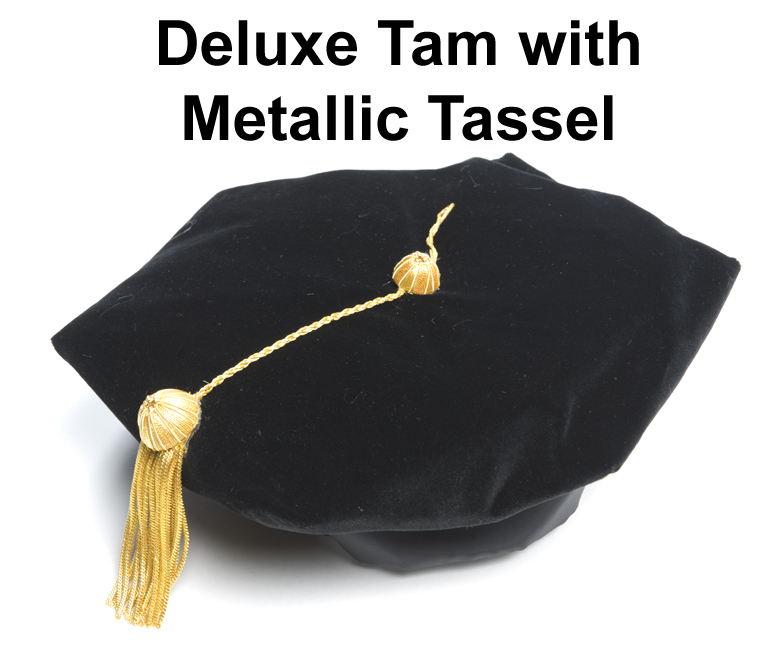 Deluxe Tam with a better quality velvet and attached gold bullion tassel. NOTE: Images are used for product representation only. Actual product will vary in adherence to academic code specifications. 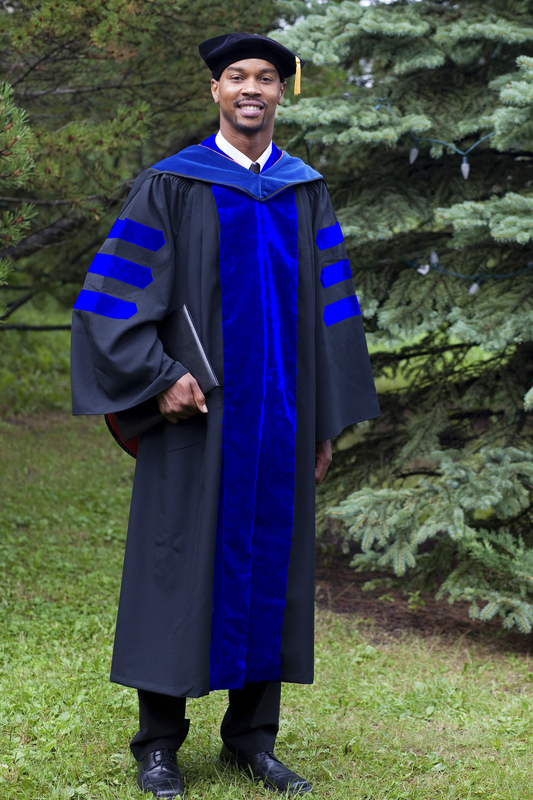 Regalia services for New England College are provided by Balfour|University Cap & Gown Co., Inc.